The island is now an independent municipality, with no internal boundaries within the municipality. The town of Spetses is the only large settlement on the island. The other settlements on the island are Moní Agíon Pánton, Ligonéri, Ágioi Anárgyroi, Kouzoúnos. 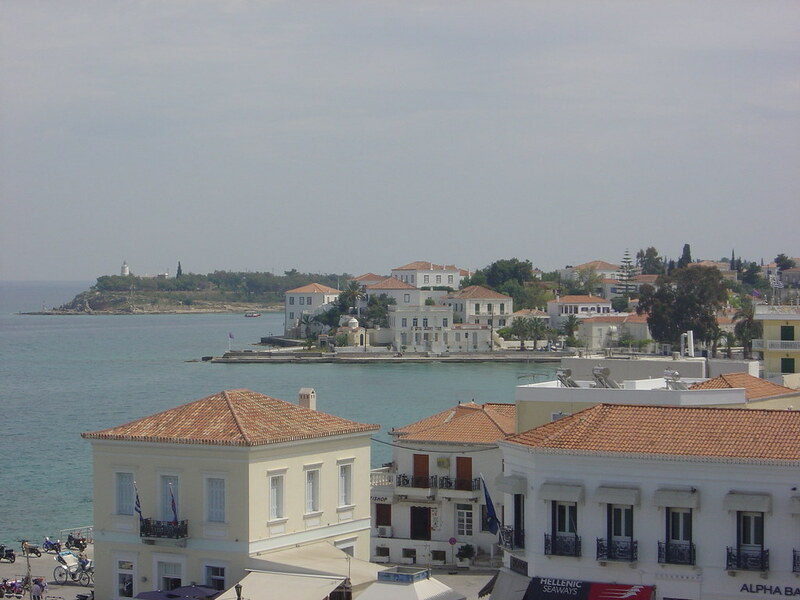 Also part of the Municipality of Spetses are the islands of Spetsopoula, Falkonera, and Velopoula. The municipality has an area of 27.121 km2. An unusual aspect of Spetses is that no private automobiles are allowed within the town limits. The most common modes of transport are walking, horse-drawn carriages, bicycles, mopeds, and motorcycles. Only taxis and delivery vehicles are allowed in the downtown area. Ferries and high-speed hydrofoils arrive regularly from Piraeus. Trails encircle the island and total about 25 to 30 km. Beaches closest to the town of Spetses include: Agios Mamas in the center of town; and Kaíki beach 1 kilometre to the northwest and Agia Marina 2 kilometres to the south, both of which offer water-sports. Public buses serve beaches further outside town, including Zogeria, Agioi Anargiroi, and Agia Paraskevi. The blue markers shows the location of various accommodations in Spetses Town. The letter in the marker describes the accommodation types: H for Hotel, A for Apartment, R for Resort, B for Bed & Breakfast and O for Other (e.g. pension, villa). Click on the blue marker for more information on the accommodation.